Panda Online is excited to announce the Merrie Monarch Hawaii vacation packages. Experience an entire week immersed in the culture of Hawaii—the Merrie Monarch Festival in Hilo, Hawaii. The festival includes the most prestigious hula competition in the world plus several days of delicious food, ethnic music, crafts, local art exhibits, hula performances and a parade. The Merry Monarch Hawaii vacations include round trip airfare with your choice from one of two flight schedules from April 7 through April 11, 2010. The packages also include mid-size car rentals, hotel accommodations and reservations at either the Naniloa Volcanoes Resort or the Hilo Seaside Hotel. Experience the sights, sounds and tastes of the Hawaiian Islands. Starting from only $459 per person for the family fun pack, you and your family can enjoy an exciting Hawaiian trip. As people search for a last minute vacation deal over the holidays, it’s easy to get frazzled and harried about everything you need to do before the big trip. 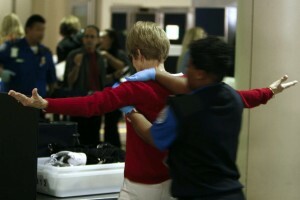 The government’s Transportation Safety Administration (TSA) is doing their best to help by taking to Twitter. Throughout the holiday season, travelers can get daily tips on travel from the @tsablogteam Twitter feed. While the TSA’s Tweets won’t help you find the latest airline ticket sales, it can help you avoid big hassles once you get to the airport and try to get on your plane. For example, snow globes are popular Christmas gift items that many people try to bring on the plane as part of their carry-on items. But if you try to go through security with one in your purse, backpack or duffel bag, it will be taken away: snow globes are on the TSA’s list of banned items inside the cabin. Instead, you can bring your snow globe in your checked baggage. So while the TSA can’t help you with an air travel deal, they can help you avoid the stress and problems associated with holiday flights.